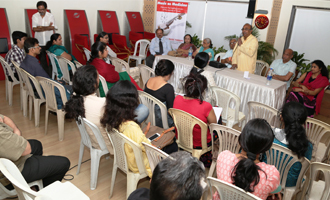 The Welcome ceremony of the 6th batch of Certificate in Music Therapy was held on 5th March, 2014. The programme is conducted by Pt. Shashank Katti, the pioneer of ‘Sur Sanjeevan Music Therapy’ along with his team of doctors.